New research suggests that acetaminophen—the generic name for Tylenol—could help people overcome anxiety about existential fears of death. 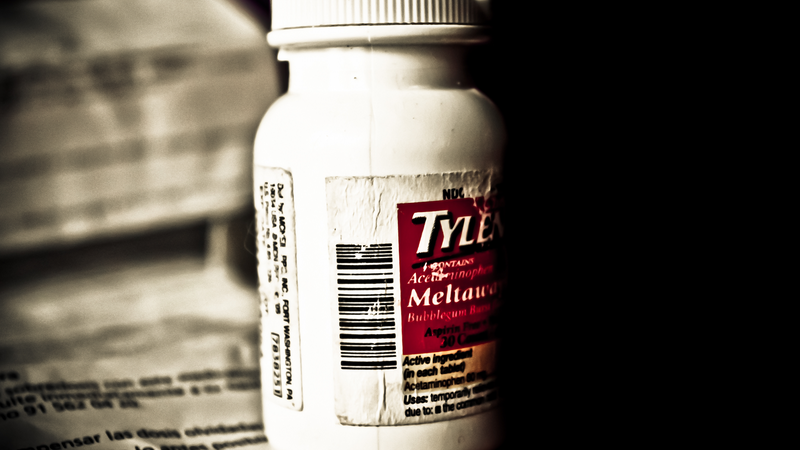 The research, carried out at the University of British Columbia and published in the journal Psychological Science, reports that Tylenol could provide interesting psychological effects that have previously been overlooked. The work was inspired by a previous finding, which suggested that acetaminophen can reduce the non-physical pain of being socially ostracized. So, a team led by Daniel Randles decided to assess whether the drug had an effect on more general existential fears. To do that they carried out a double-blind trial, where one arm was given a placebo and the other tylenol. Within each arm of the study, half of participants were asked to write something about what would happen to their body when they were dead, and the other half something about having dental pain. Then, everybody was asked to read about the arrest of a prostitute—and set the amount required for her bail. "Pain exists in many forms, including the distress that people feel when exposed to thoughts of existential uncertainty and death. Our study suggests these anxieties may be processed as ‘pain' by the brain - but Tylenol seems to inhibit the signal telling the brain that something is wrong."